Kentucky distillery Woodford Reserve has added a bottled-in-bond whiskey to its experimental Distillery Series line. Woodford Reserve Bottled in Bond has been created in accordance with the 1897 act, which requires whiskey to be produced by one distillery within a six-month ‘season’. The product must also be aged for at least four years in a federally bonded warehouse at 100 proof (50% abv). “Given the historical nature of our distillery – a National Historic Landmark – it is only appropriate that one of the oldest distilleries in the country releases an expression in the oldest federal designation for Bourbon,” said Woodford Reserve master distiller Chris Morris. 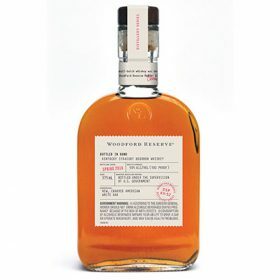 Available from Woodford Reserve distillery and select Kentucky retailers, Woodford Reserve Bottled in Bond has an abv of 45.2% (90.4 proof) and an RRP of US$49.99. In July, the brand extended its Distillery Series with the launch of Woodford Reserve Barrel Finished Rye. 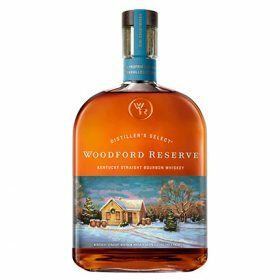 Also this week, Woodford Reserve unveiled its annual holiday bottle, the label of which depicts a snowy distillery scene created by Louisville painter Lynn Dunbar. It features snow-covered Bourbon barrels and the distillery’s scale house, one of several historic buildings on the grounds of Woodford Reserve distillery, where Bourbon distilling first occurred in 1812. The one-litre bottle contains standard Woodford Reserve Bourbon and has an RRP of US$49.99.